Though fermented foods seem to be growing in popularity during recent times, they were actually one of the first processed foods consumed by humans. I can be almost certain that you have come across them in some form; and maybe even enjoyed some throughout your lifetime. In fact, you may be enjoying fermented foods without even realizing it. 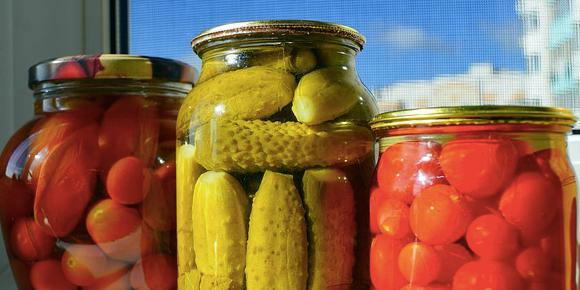 Some popular fermented foods include sauerkraut, kimchi, kombucha, beer and even yogurt. What could be the cause of this sudden spike of society’s interest in fermented foods is the wide array benefits that they can have on your everyday well being. Generally, fermented foods are highly nutritious and very easily digestible. The fermentation process actually pre digests the foods, making their nutrients much more available to easily be extracted by your gut. What makes fermented foods so special is that they usually carry live-culture bacteria. The live bacteria in fermented foods are probiotics which are beneficial for the balance of your gut bacteria. This beneficial bacteria has a direct positive affect on your gut health. Which in turn positively affects your overall well-being, immune system and improves many other ailments and diseases. Fermentation can also add nutrient value to foods. In certain cases, it can produce a variety of B vitamins in foods that did not contain them prior to being fermented. A growing number of foods can be fermented making a variety of flavors and textures to choose from. Fermented foods can easily be incorporated into your own diet for a daily boost of probiotics that is suitable to your personal lifestyle. Any food that has been fermented should not be cooked, as this will kill the live cultures and potentially the health benefits that they serve. Fermented foods are usually readily available at most supermarkets in the refrigerated section and they are also easy to make at home; which makes them the perfect addition to your healthy lifestyle. Considering the variety of benefits that the addition of fermented foods to your diet can have on your gut health and well-being, they deserve the title of superfood.